Need some ideas for Valentine's Day? 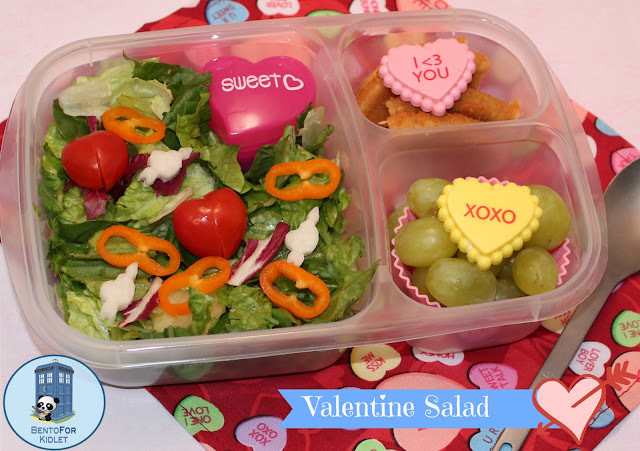 How about a delicious salad :D Kidlet loves to have a big salad for lunch and I thought I would cute it up a bit! Main Compartment: Salad greens with orange peppers, tomatoes, and jicama hearts. LOVE it :) The peppers remind me of infinity symbols! I love your jicama hearts! That looks totally delicious, would like to eat it myself!